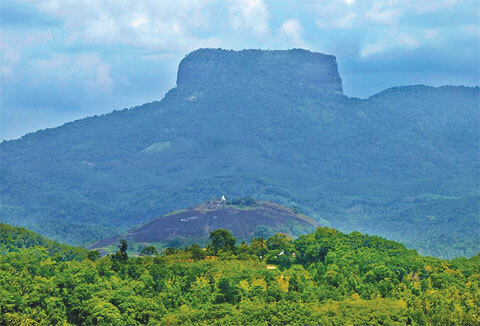 Kegalle is 77 km from Colombo and is in the Sabaragamuwa Province, which is situated in between the central highlands and western southern planes. Rubber cultivation is the main occupation and coffee, cocoa, pepper, clove and nutmeg are the minor export crops cultivated in Kegalle. Earlier it was one of the main towns occupied by many up country aristocrats, regional leaders and freedom fighters. It is also famous for the oldest and largest graphite mine in Bogala, the elephant orphanage in Pinnawala and many waterfalls, forests, cave temples and other temples.Kegalle is one of best travel destinations! 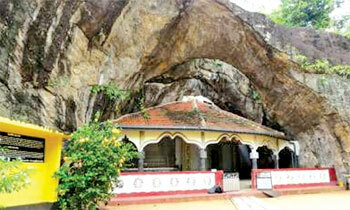 Kegalle is one of great cities and dates back to the Stone Age. When it was ruled by Sinhala kings, it was divided into three parts and named as Sathara Korale, Thun Korale and Patha Bulathgama. The history of Kegalle consists of the influence from the Portuguese, Dutch and British. There are some ruins which show the influence they had on architecture and even on the cultural aspects. Many Sinhala kings have built monuments and temples and most of the relics which belonged to Kegalle have the Kandyan influence as well. Today, apart from the beauty of biodiversity, there are many landmarks, mines, ruins, some buildings and temples which speak of the great history of Kegalle. Kegalle is a popular travel destination because of the Pinnawala Elephant Orphanage and has various historical landmarks which are established by different rulers and kings. 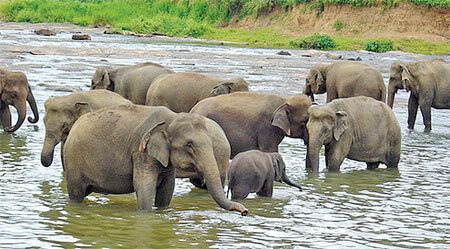 The Pinnawala Elephant Orphanage, Kadugannawa, Bisowela Raja Maha Vihara, Navagala Galebandara Devale, St.Mary's Church, Kegalle, Salagala Forest Hermitage, Karandu Lena Cave Temple, Alu Lena, Uthuwankanda Mountain, Bathalegala Rock (Bible Rock), Holombuwa Ancient Cave Temple, Manikkadawara Portuguese Fortress and Beligala Raja Maha Vihara, are sifnificant historical landmarks. This year the 66th anniversary of Independence was held in Kegalle because it is steeped in history. Many rulers of the past made Kegalle their kingdom. In addition, many tea planters built their homes in this historic city. The ruins of some of the mansions can still be seen.